Best OF Puerto Plata CIty Tour! Book this All Inclusive Best of Puerto Plata City Tour for a 5 hour uptown glimpse into Dominican life. 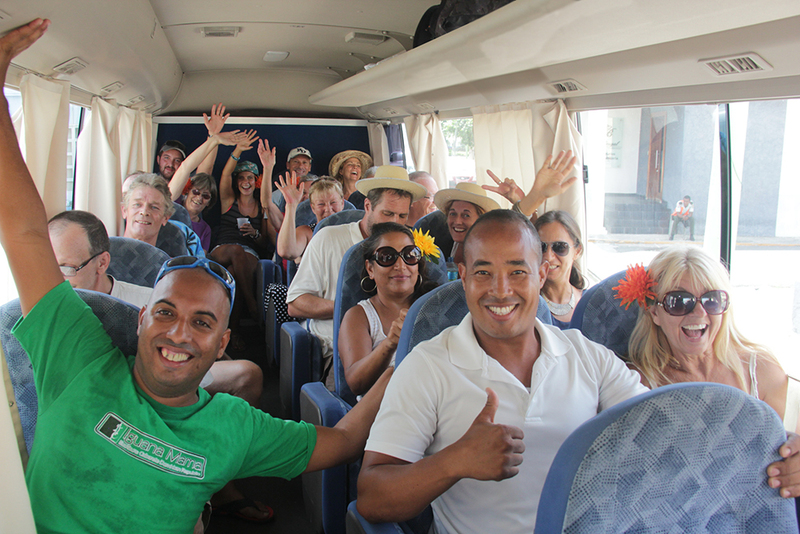 From the time we pick you up from your hotel in an air conditioned bus until we return you at the end of the tour, our friendly and knowledgeable guides will keep you entertained with Dominican history, folklore, great food, local rum drinks all day long and more! Groups of 6 or more adults please contact us for other available days. Cruise ship passengers arriving to Amber Cove please click here! Our first stop is Puerto Plata’s spectacular TELEFERICO (the only CABLE CAR in the Caribbean) revealing incredibly panoramic ocean and city views as you ascend to the summit of Mount Isabel, 2555 / 855 meters above sea level. At the top of the mountain you’ll find beautiful tropical gardens and a statue of Christ (a smaller replica of the one in Rio de Janeiro, Brazil) and of course, the breathtaking views of Puerto Plata and the Atlantic ocean. Duration approximately 90 minutes. After riding the cable car back down the mountain we re-board the bus and head to RON MACORIX HOUSE OF RUM! Here you'll learn the history of how rum became the most important export of the island, how it is made and aged and then, you'll sample all the different flavors Macorix offers! Ask for seconds of the ones you like best! 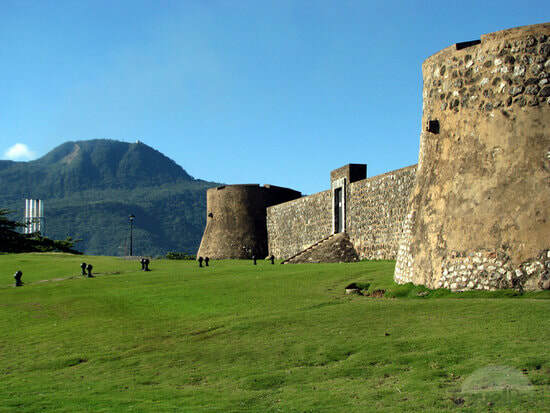 Following rum sampling at Ron Macorix, we make a quick stop at Forteleza San Felipe, an authentic and historic Spanish fortress also known as El Morro de San Felipe that was built in 1577 to protect the city of Puerto Plata from pirates and corsairs! The Dominican Republic was an integral stop on the Spanish Main and was terrorized by many notorious pirates for years, including the famous British pirate Henry Morgan! From the fort we'll take a quick drive down our beautiful Malecon (Ocean Drive) to a vibrant courtyard cafe for lunch. When you book this tour, we’ll provide you with the menu ahead of time so we can pre-order your meal and drink selections. The food is delicious and the atmosphere simply relaxed and charming! 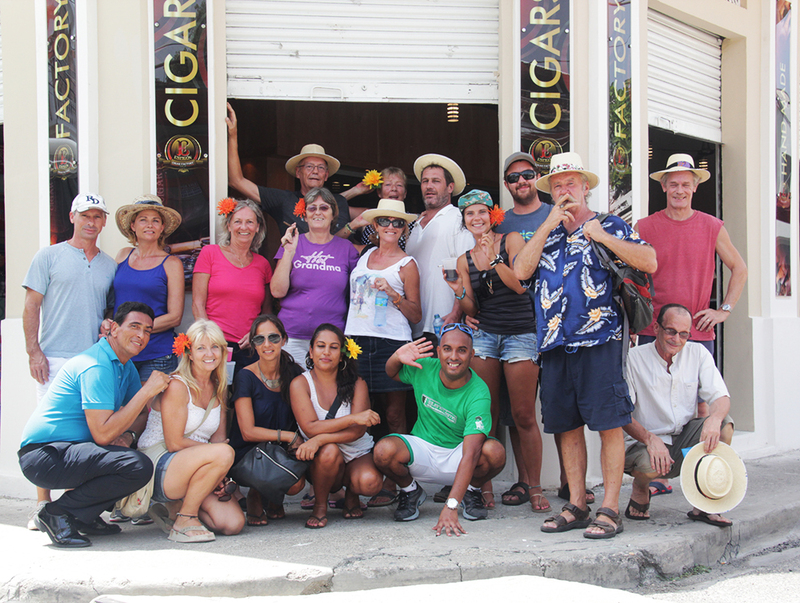 After lunch we’ll board the bus for a short ride to Puerto Plata's town square where we'll stop for a quick look at the Victorian architecture and then walk down the street to Espigon Cigars, an authentic cigar rolling factory and humidor! Here you’ll learn about the history of tobacco on the island, you'll roll your own cigar and sample more of our famous local rum and mamajuana! But we're not done yet! In the Dominican Republic music is as important as the air we breathe and no visit to the island is complete until you've danced! Local "taxi” dancers will first dance for you and then, teach you a few basic steps and you'll Fiesta & Bachata like a Dominican with Dominicans until it’s time to return to the ship! MEETING POINT: Pick up is from your hotel. We will provide a confirmation including pick up time when you book. We use private buses with A/C, not open trucks. Complimentary water, sodas, rum punch and snacks available on board, some buses even have free Wifi. * Round Trip Transportation / Cable Car / Water / Alcoholic Beverages on the Bus / Lunch and 1 Alcoholic Beverage or Pop / 1 Cigar / Alcoholic Beverages at the Rum and Cigar Factories. If desired, additional drinks are available for purchase at the restaurant. Flat shoes suitable for walking on uneven sidewalks. No high heels please. Cash if you think you might want to purchase souvenirs or additional drinks. Tour may not include transport costs from your location. See below for details. Any extra transport costs are payable in cash on the day of your tour. If you prefer not to book the transportation as listed below, we will provide a time you must be at our shop in Cabarete or at the designated meeting point on the morning of your tour.